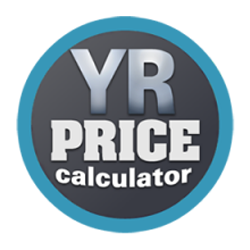 YRPrice Calculator is a component studied for a quote calculation and online sale of products/services with a large number of integrated tools that help to configure easily the area of quote or products for sale with payment by PayPal or Pay Offline. The structure of the items is very easy to manage and it’s subdivided into quote/category, primary items and secondary items with the option of visualisation of secondary items only when the primary item is selected. Unlimited quotes and items with configurable options. Uploading images with resizing and crop. Calculation of prices in real-time. Integration with PayPal, Payment Offline, without payment system. Acceptable configuration of a Deposit of a total order. Orders and clients management in Backend. Email notifications and various types of customizable email templates. Form of registration and form of login. Hi! It is possible to have the latest version 1.8.3?